nine × = fifty four Required Please enter the correct value. Dow futures today (Friday) forecasted a 14-point gain from yesterday's close. On Thursday, the DJIA gained 180 points and the Nasdaq hit a 15-year high as traders showed some optimism over Greece and cheered news that the U.S. Federal Reserve will wait until later this year to raise interest rates. All 30 Dow Jones components rose Thursday as investors were optimistic on news the Federal Reserve will delay raising rates until later this year. 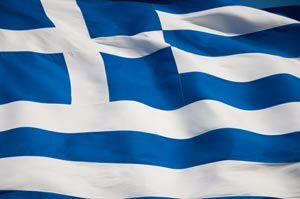 News of potential economic reform in Greece also added a boost to confidence. Greek Finance Minister Yanis Varoufakis pitched a handful of new reform proposals to creditors this afternoon in a meeting in Luxembourg. Stock Market Today: This morning, investors will weigh the comments of two Federal Reserve members. San Francisco Fed president John Williams and Cleveland Fed president Loretta Mester are scheduled to give speeches on monetary policy later today. Oil Outlook: Oil prices fell on increased global supply and general worries about Greece's impact on the European economy. WTI crude futures for July ticked down 0.7% this morning to $59.71 per barrel. Meanwhile, Brent oil fell 1.4% to $63.33 per barrel. Earnings Reports: Companies reporting earnings this morning include Carmax Inc. (NYSE: KMX) and KB Home (NYSE: KBH). Pre-Market Movers No. 1, DRI: Shares of Darden Restaurants Inc. (NYSE: DRI) are flat this morning ahead of its fourth-quarter earnings. The owner of Olive Garden will offer some insight into whether or not it will be able to generate revenue from its real estate holdings as its foot traffic declines. Pre-Market Movers No. 2, CAG: Shares of ConAgra Inc. (NYSE: CAG) were up more than 6% this morning after activist hedge fund Jana Partners disclosed a 7.2% stake in the food manufacturer. The fund said CAG shares are undervalued and announced intentions to nominate three directors to the ConAgra board. Stocks to Watch No. 1, FIT: Shares of Fitbit Inc. (NYSE: FIT) surged more than 50% yesterday during FIT's debut on the New York Stock Exchange. The company's IPO price was $20, above its expected $17 to $19 range. The company's valuation topped $4.1 billion. Now the key question for investors: Is Fitbit stock a buy? Find out here. Stocks to Watch No. 2, FOGO: The fourth restaurant group will go public today when Brazilian steakhouse operator Fogo de Chao Inc. (Nasdaq: FOGO) hits the market for the first time today. The company has priced its initial public offering at $20 per share, well above the previous forecast of $16 to $18. The $20 per share level would offer the company an implied value of $545 million. Stocks to Watch No. 3, MCD: Fast-food giant McDonald's Corp. (NYSE: MCD) announced yesterday the company will close more stores than it will open for the first time in more than 40 years. The company continues to struggle in a turnaround including menu changes and an operational overhaul. With Americans changing their diet habits, weakness plaguing Europe, and a meat scandal damaging its reputation in Asia, the company is facing a steep uphill battle against newer, fast-dining competitors. San Francisco Federal Reserve Bank President John Williams speaks at 11:40 a.m.
Cleveland Federal Reserve Bank President Loretta Mester speaks at 12:15 p.m.